A very nice example of these popular fast cruisers, with over £5000 spent on her over the last 12 months. She had a new engine fitted in 2010. An ideal size, and good value for a family just starting out cruising, with deceptive accommodation and headroom. She has been very well looked after by the current owner and is beautifully presented for sale for a Boat of this age. 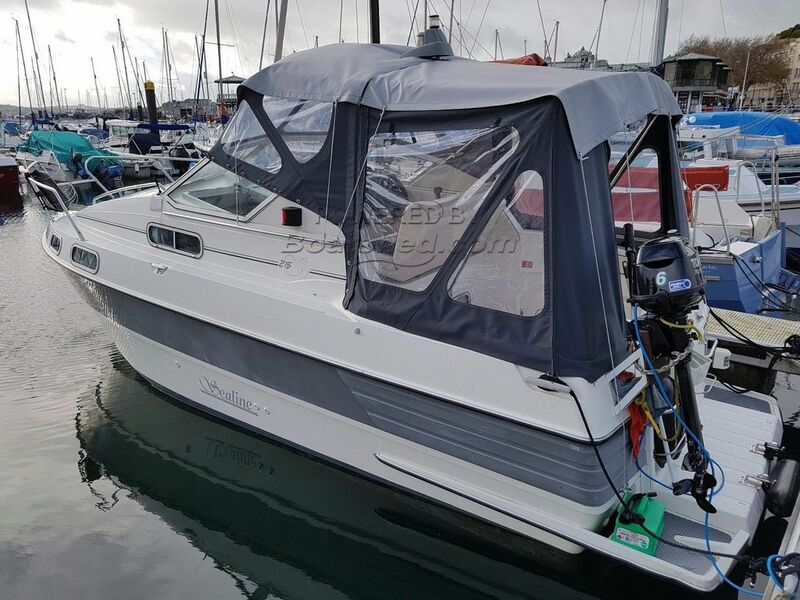 This Sealine 215 Envoy has been personally photographed and viewed by Phil Key of Boatshed Torquay. Click here for contact details.